Back in the halcyon days of the early-to-mid-2000s, there was nothing cooler than quoting Napoleon Dynamite. From “your mom goes to college” to “make yourself a dang quesadilla” to “girls only like guys who have great skills” to even a simple “gosh!”, quotes from the 2004 surprise hit were once as ubiquitous as micro-minis and Juicy tracksuits. Of course, there was also a reason why the tiny Sundance flick ended up being a sleeper hit, and it wasn’t just the quotes. 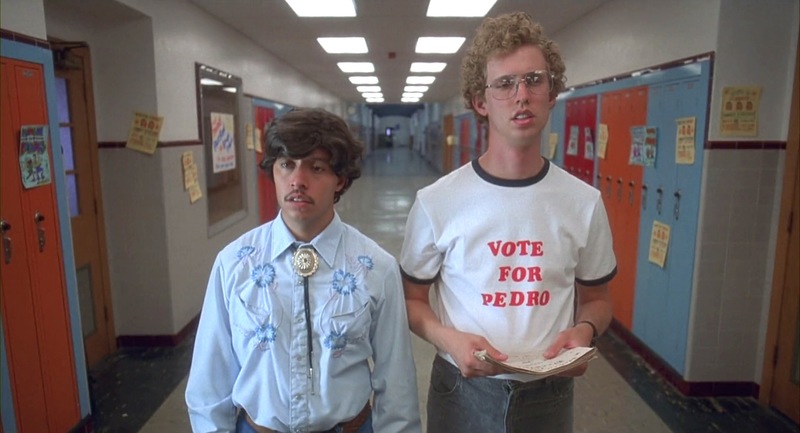 Napoleon Dynamite had heart, exploring Middle America geekdom with a sweetness and focus on character (over plot) that felt fresh, exciting, and really, really funny way back when. Flash forward 13 years, and many actors in the film have all but disappeared from the public eye. Napoleon himself, Jon Heder, followed up his success with a starring role alongside Will Ferrell in 2007’s Blades of Glory, but now he mostly sticks to voice work. Aaron Ruell, who played Kip, voiced the character in the short-lived 2012 Napoleon Dynamite TV cartoon, but that’s about it. Tina Majorino (Deb) and Jon Gries (Uncle Rico) have had more success, but they were successful before Napoleon, so it doesn’t count. This brings us to Efren Ramirez — the man, myth, and legend most popularly known as class president nominee Pedro. Who … guess what?! Looks totally dapper and suave AF in 2017. In 2006 he starred alongside Jason Statham in Crank, and Dane Cook, Jessica Simpson, and Dax Shepherd in Employee of the Month, eventually reprising the former role in Crank: High Voltage in 2010. He tends to average a movie a year, with his most recent part being Gus, a disgruntled janitor, in 2016’s Middle School: The Worst Years of My Life. 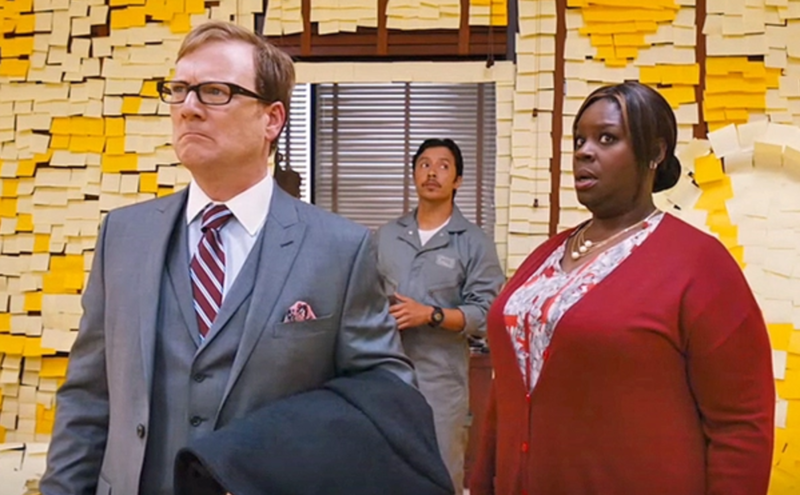 Here he is behind Retta, aka Donna from Parks and Rec! He’s also acted on TV shows like Eastbound & Down, Constantine, and The Grinder, and — wait for it — travels the globe as a professional DJ. If you really want to follow what Ramirez is up to, you can follow him on Twitter and Instagram … because otherwise, how would we have known he’s starring alongside Charlie Freaking Sheen on Mad Families on Crackle?! He plays Rolando on the series, and looks way, way different than he did back in his Pedro days. He also still hangs out with Heder, because best friendships never die — duh! He even almost won the Presidential election … which, y’know, might not have been so terrible in hindsight. 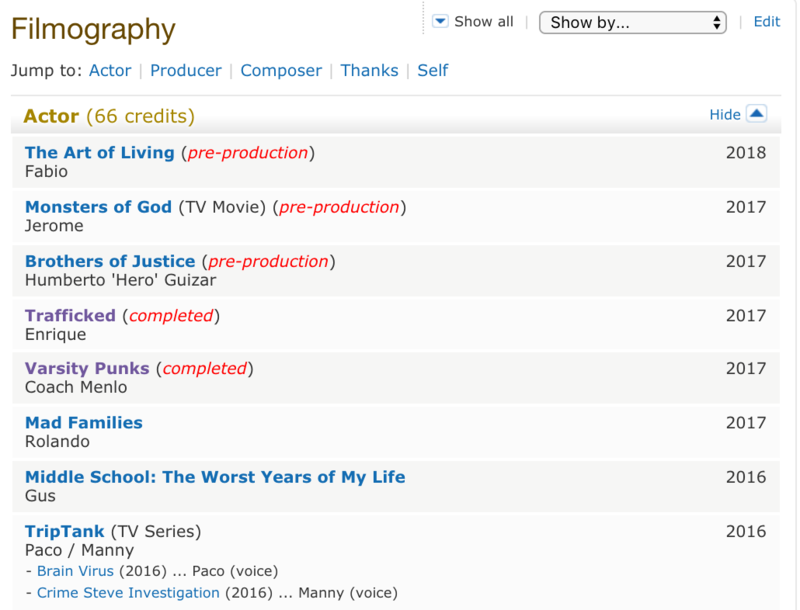 Anyway, based on his IMDB page, it seems like Ramirez is only getting started in Hollywood — he has a seemingly awesome year ahead. We’re so, so glad to see that Ramirez is still crushing it in 2017 … and also that he’s still willing to embrace his Pedro roots, having starred in a Napoleon commercial for Burger King just a few months back. Keep with it, Ramirez — we’re totally voting for your continued success.